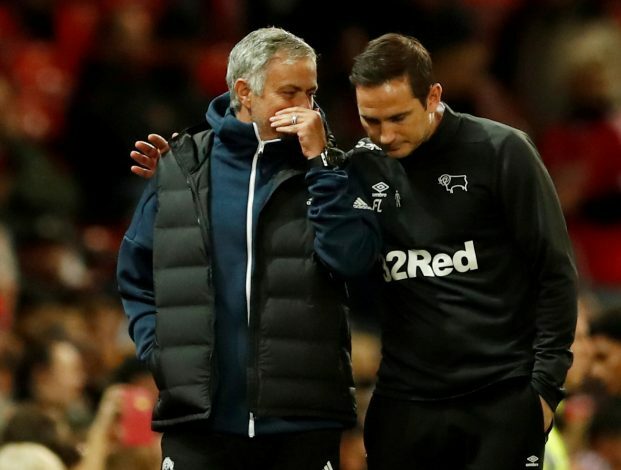 Second-tier Derby County beat Manchester United 8-7 in a dramatic penalty shootout at Old Trafford to reach the Carabao Cup fourth round, after the match ended 2-2. There were 15 successful penalties before Derby goalkeeper Scott Carson saved Phil Jones’ weak effort low to his left. A lacklustre United took the lead through Juan Mata’s first goal in nine months in the 3rd minute. But the Reds hurt themselves through their unwillingness to kill off the game. Liverpool loanee Harry Wilson equalised for the visitors with a brilliant dipping free-kick from 30 yards. The hosts were reduced to 10 men when Sergio Romero was sent off for handball, before Jack Marriott’s header put Derby 2-1 ahead. Substitute Marouane Fellaini scored from a header in the 95th minute to salvage a 2-2 draw, but United lost the dramatic tie via shoot-out. An interesting thing happened in the match which, in turn, lifted the morale of the Liverpool fans. Wilson, who smashed home one of the best goals this season, was seen with a wild celebration post his heroics. He held up five fingers after scoring. This was done to mock the Manchester United fans, as his gesture pointed to Liverpool having won the Champions League five times. Earlier, former Liverpool forward Fernando Torres had performed a similar celebration at Old Trafford. The Merseyside outfit’s supporters, celebrating United’s defeat, took to Twitter to mention the player’s gesture. Wilson had a terrific match at Old Trafford, as his swift movement and decision-making saw Romero making a mistake. The Argentine was sent off, which resulted in United losing the footing.